GAAP, or Generally Accepted Accounting Principles, is a commonly recognized set of rules and procedures designed to govern corporate accounting and financial reportingSEC FilingsSEC filings are financial statements, periodic reports, and other formal documents that public companies, broker-dealers, and insiders are required to submit to the U.S. Securities and Exchange Commission (SEC). The SEC was created in the 1930s with an aim to curb the stock manipulation and fraud in the United States (US). The US GAAP is a comprehensive set of accounting practices that were developed jointly by the Financial Accounting Standards Board (FASB) and the Governmental Accounting Standards Board (GASB), so they are applied to governmental and non-profit accounting as well. US law requires all publicly-traded companiesPrivate vs Public CompanyThe main difference between a private vs public company is that the shares of a public company are traded on a stock exchange, while a private company's shares are not. There are several more important differences to understand, as well as any company that publicly releases financial statements, to follow the GAAP principles and procedures. In addition, or as an alternative, are the International Financial Reporting Standards (IFRS)IFRS StandardsIFRS standards are International Financial Reporting Standards (IFRS) that consist of a set of accounting rules that determine how transactions and other accounting events are required to be reported in financial statements. They are designed to maintain credibility and transparency in the financial world established by the International Accounting Standards Board (IASB). The IFRS govern accounting standards in the European Union, as well as in a number of countries in South America and Asia. Principle of consistency: This principle ensures that consistent standards are followed in financial reporting. Principle of permanent methods: Closely related to the previous principle is that of consistent procedures and practices being applied in accounting and financial reporting. 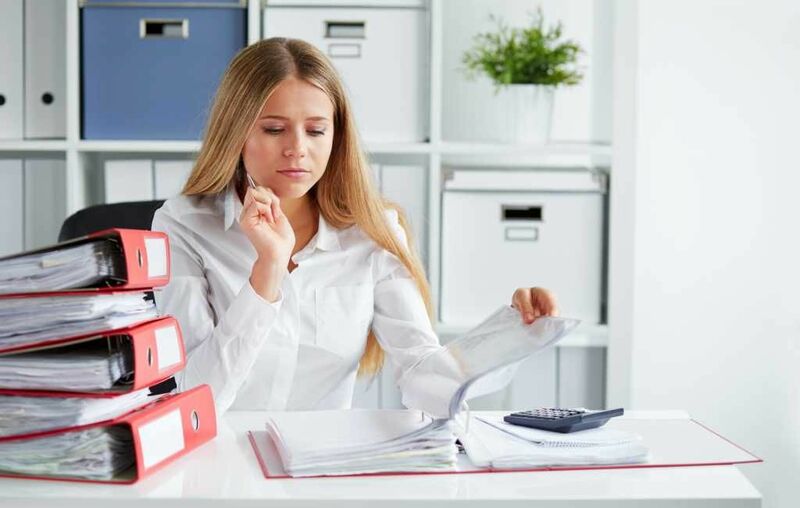 Principle of non-compensation: This principle states that no entity is to expect any compensation for providing full and accurate financial reporting. Principle of prudence: All reporting of financial data is to be factual, reasonable, and not speculative. Principle of regularity: This principle means that all accountants are to consistently abide by the GAAP. Principle of sincerity: Accountants should perform and report with basic honesty and accuracy. Principle of good faith: Similar to the previous principle, this principle asserts that anyone involved in financial reporting is expected to be acting honestly and in good faith. Principle of materiality: All financial reporting should clearly disclose the organization’s genuine financial position. Principle of continuity: This principle states that all asset valuations in financial reporting are based on the assumption that the business or other entity will continue to be in operation going forward. Principle of periodicity: This principle refers to entities abiding by commonly accepted financial reporting periods, such as quarterly or annually. The Generally Accepted Accounting Principles further set out specific rules and principles governing such things as standardized currency units, cost and revenue recognitionRevenue Recognition PrincipleThe revenue recognition principle dictates the process and timing by which revenue is recorded and recognized as an item in the financial statements., financial statement format and presentation, and required disclosures. For example, it requires precise matching of expenses with revenues for the same accounting period (the matching principleMatching PrincipleThe matching principle is an accounting concept where companies report expenses at the same time as the revenues they are related to. Revenues and expenses are matched on the income statement for a period of time (i.e. a year, quarter or month). Example of the matching principle Imagine that a company pays). Generally Accepted Accounting Principles were eventually established primarily as a response to the Stock Market Crash of 1929 and the subsequent Great Depression, which were believed to be at least partially caused by less than forthright financial reporting practices by some publicly-traded companies. The federal government began working with professional accounting groups to establish standards and practices for consistent and accurate financial reporting. Generally Accepted Accounting Principles began to be established with legislation such as the Securities Act of 1933The 1933 Securities ActThe 1933 Securities Act was the first federal law that was passed following the stock market crash of 1933. The law is also referred to as the Truth in Securities Act, Federal Securities Act or the 1933 Act. It was enacted on May 27, 1933 during the Great Depression. When signing the law, US President Franklin and the Securities Exchange Act of 1934. 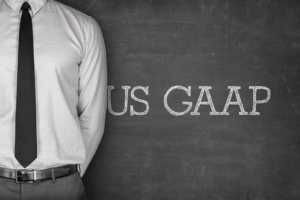 The GAAP have gradually evolved, based on established concepts and standards, as well as on best practices that have come to be commonly accepted across different industries. Generally Accepted Accounting Principles make financial reporting standardized and transparent, using commonly accepted terms, practices, and procedures. The consistency of presentation of financial reports that results from the GAAP makes it easy for investors and other interested parties (such as a board of directors) to more easily comprehend financial statements and compare the financial statements of one company with those of another company. GAAP also seek to make non-profit and governmental entities more accountable by requiring them to clearly and honestly report their finances. In short, GAAP is designed to ensure consistent presentation of financial statementsThree Financial StatementsThe three financial statements are the income statement, the balance sheet, and the statement of cash flows. These three core statements are intricately linked to each other and this guide will explain how they all fit together. By following the steps below you'll be able to connect the three statements on your own., making it easier for people to read and comprehend the information contained in the statements. For financial analysts performing valuation work and financial modelingWhat is Financial ModelingFinancial modeling is performed in Excel to forecast a company's financial performance. Overview of what is financial modeling, how & why to build a model. A 3 statement model links income statement, balance sheet, and cash flow statement. More advanced types of financial models are built for valuation, plannnig, and, it’s important to have a solid understanding of accounting principles. While this is important, financial models focus more on cash flow and economic value, which is not significantly impacted by accounting principles (other than for the calculation of cash taxes). The screenshot above is from one of CFI’s Financial Modeling Courses. While the courses focus on advanced modeling techniques, they don’t adhere specifically to GAAP or IFRS, but rather focus on concepts and “first principles” of a business. GAAP is the set of standards and practices that are followed in the United States, but what about other countries? Outside the US, the alternative in most countries is the International Financial Reporting Standards (IFRS), which is regulated by the International Accounting Standards Board (IASB). While the two systems have different principles, rules, and guidelines, IFRS and GAAP have been working towards merging the two systems. Learn more about Generally Accepted Accounting Principles at FASB’s website.